New thrills. New laughs. New action. 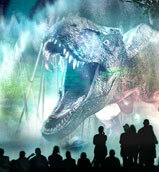 There’s always something new for you to see and do at Universal Orlando Resort™ . If you haven’t been here lately, we’ve got a universe of new excitement for you to experience. 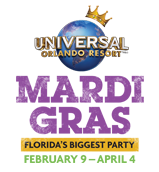 When you visit Universal Studios Florida™ this spring, you can experience Florida’s Biggest Party. 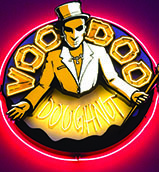 It’s an authentic New Orleans celebration with nightly parades, dazzling entertainment including superstar concerts on select nights, and mouthwatering Cajun food available for purchase. Tapings are on select dates starting July 20th. 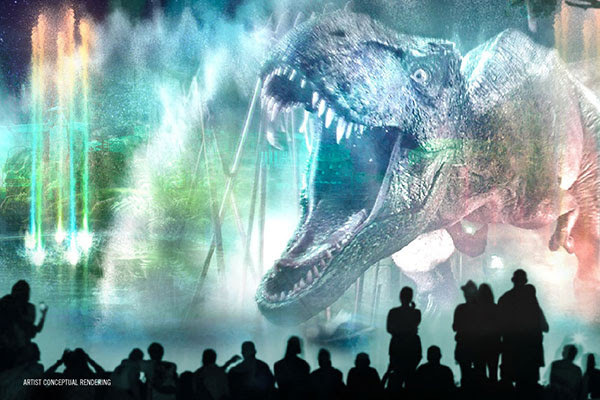 An epic new show will light up the night at Universal Studios Florida™ with a colossal celebration of music, water and light that will transform the park and take you into the movies like never before. As music from the world’s biggest films fill the air, scores of shining, dancing fountains will erupt. Massive walls of water will blaze with incredible movie moments and powerful projections will bring the entire waterfront into the movies. You’ll see and hear roaring dinosaurs from Jurassic World, feel the adrenaline rush of high-speed cars from Fast & Furious, watch the mischievous antics of the Minions from Illumination’s Despicable Me, and so much more. Don’t miss the amazing new show that will make nights at Universal Studios™ brighter and bolder than ever. Go inside the high-stakes world of Fast & Furious for a full-throttle, high-octane experience. You’ll meet up with the family, but just as the party is getting started an enemy from the past shows up and a wild chase ensues. It’s up to Dom, Letty, Hobbs and the rest of the crew to save the day in this action-packed new ride. Universal Orlando’s first Value properties, Surfside Inn and Suites and Dockside Inn and Suites, introduces extra affordability to your Universal vacation, so now we are offering a hotel option for every style and budget. The vibe at these hotels is relaxed and easy, with a fun surf and beach theme woven throughout. In addition to standard rooms with rates as low as $73, both hotels will feature spacious, two-bedroom suites that sleep six for as little as $111 per night, making this the perfect spot for families of any size. 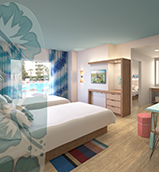 Surfside Inn and Suites is the first hotel of Universal’s Endless Summer Resort. Here, you will enjoy exclusive benefits like Early Park Admission* and complimentary transportation. Surfside Inn and Suites will open in Summer 2019 and Dockside Inn and Suites will open in 2020. *Valid theme park admission required. 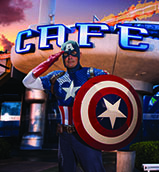 This new character dining experience at Universal’s Islands of Adventure™ lets you feed their cosmic hunger alongside their favorite Marvel characters, including Captain America, Spider-Man, Wolverine, Cyclops, Storm and Rogue. See The Nighttime Lights at Hogwarts™ Castle, a celebration in The Wizarding World of Harry Potter™. On select nights, watch in awe from Hogsmeade™ village as a dazzling light spectacle unfolds against the majestic backdrop of the castle. It is a beautiful way to end your day at Universal’s Islands of Adventure™.